I love the Bullet Journal. And one of the best places to find amazing journals and Bullet Journalists is Instagram! I finally made an official FindingNorth Instagram account (follow here! ), and it’s just so much awesome there. And I decided to share the awesome around, so here are 10 awesome Bullet Journal instagram accounts to follow. Lets start with the official Bullet Journal Instagra account by the inventor of the Bullet Journal system – Ryder Carrol. The account is mostly reposts from other instagram accounts, and it’s a well-curated collection. Marie has a beautiful Bullet Journal that she shares on Instagram as well as her YouTube account. My favorites are her many inventive trackers, she has plenty and she is always up for trying new things. Lisa has a clear and simple style of Bullet Journaling. The past week I’ve been testing out Rolling Weeks, and my newest layout (the one I like the best so far) has been inspired by the picture below! Camilla has a great feed. Lovely pictures and a great style. Emma has a different design on each day in her BuJo and shares them on her feed. They are lovely, and fit each day perfectly. Jessica is one of my Bullet Journal idols. 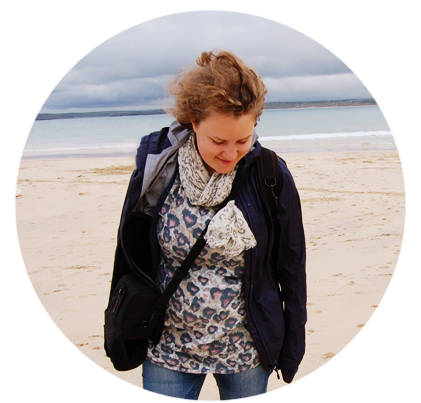 Her Blog and Instagram are inspirational and she is enthusiastic about sharing what she knows. Becky is one of my favorite new finds. She Bullet Journals on Kraft paper and it makes for a refreshing new look. How I use my Bullet Journals. I used this when I first started, to see what I wanted to track and which spread I wanted this in. Austin Bullet Journals in a clear and straightforward way. Like he says: It’s about getting crap done, not making your crap look good. Oh hey there! Yeah, I’ve been gone a while. Want to read about why I’ve been absent? Check out my guest post on @prettyprintsandpaper’s blog on why I’ve struggled with my bujo recently. With the transition to adult working life, my journal just hasn’t worked for me. But I’m excited to explore new formats and ideas to make it fit my life. Sandra has a bright and fun way to Bullet Journal that never fails to inspire me. Plus she’s a lovely person who is always willing to share what she knows. #ThrowbackThursday Time! My thoughts on it back in March: ‘Last week’s weekly spread. I think I like this version without the washi better, but then again maybe just my doodles got better, haha. And no I didn’t spend all weekend watching @daredevil season 2 in one go, NEVER! 🙈 I can’t believe I launched this Instagram account just a week ago. I already met so many amazing people here and I’m so thankful for all the feedback & help I got. You guys rock! ☺️💖 Also another thank you to @iamlisajacobs, your Luminaries Club rocks! 😍 ‘ Looking back on my words now, I’m even more amazed how much this account has grown. Nearly 6k!!! Also back then I would never have thought, that my blog would have launched by now. So many amazing things happened over the last couple months and I’m just utterly thankful for each and every one of you! Liz and Jen is all about organizing every part of life and part of that is the Bullet Journal! 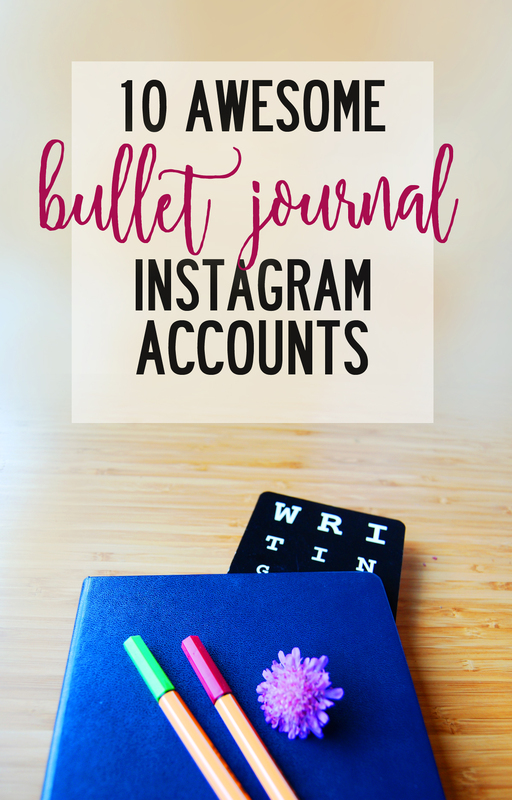 Those were some of my favorite Bullet Journal Instagram accounts, so what are you waiting for? Go follow! Yay, two new girls I didn’t know yet! <3 Thank you so much for putting together that detailed list and letting us know why you like which account the best. I love it to see accounts I already enjoy through the eyes from someone else! So instead of working like I planned I surely will get sucked into the Instagram Vortex now and be lost for hours, haha. I really enjoy reading your blog and it warmed my heart to read your lines about me 🙂 I wish you a most wonderful weekend! Thank you Sandra! I hope you had a nice, relaxing weekend.